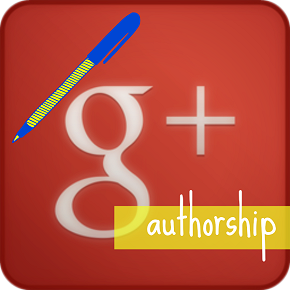 There is a lot of well meaning but wrong information on the net regarding Google Authorship, so i decided to lay it out for fellow WordPress authors. In a nutshell – authorship should only be displayed on your WordPress posts. Lets start out with what you shouldn’t do. Then i will explain how I do it. The first no-no is adding authorship into your header manually. While this will pass the Google structured data testing tool, it puts it everywhere it shouldn’t be. (<link rel=”author” href=”https://plus.google.com/+YourName”>) this adds authorship relationship to every post, tag, author pages, static pages, category, and date archives. That you don’t want! The second is not to add any “rel=author” or for that matters “rel=publisher” to any sidebar widgets, or images. The sidebar is shown in every post, page, category, tags, author pages, and date archives. This will put your authorship relationship on every page etc. That you don’t want either! Personally i don’t show the sidebar on anything but the home page. This will prevent having a multitude of duplicate links that are really not needed. I do show the Google Translate widget just in case a site visitor does not read English and an addthis.com share widget. Otherwise the sidebar is blank everywhere but on the the home page. So here is how i am implementing both Google Authorship and Publisher relations on DocsNetServices.com. I am using All In One SEO Pro here. Though the Free version also has great Authorship and Publisher support. Below is how i have mine set up. 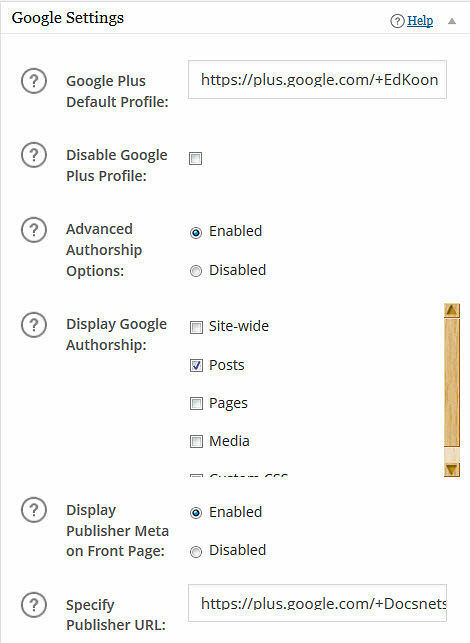 Be sure to click the advanced authorship settings button in the Google setting area. By default this plugin has every post, page, tag, category, etc, enabled. You only want the “Posts” checked. Note the above field to place any Google Plus business or other form of page as the verified Publisher. Google Publisher rel should only be shown on your blogs home page, and all in one seo pack does a great job of handling this part too. If you are in business i recommend setting one of these Google Plus pages up too. Google up your business name, one may already be there. All you have to do is claim it and it’s yours. Otherwise sign into your G+ personal page and click where is says add a new page. Follow the prompts. Sometimes just winging it don’t cut it! Arrrrrr!